Cleaning bathroom and kitchen grime is never an easy household chore. With stubborn watermarks and limescale build up to scrub off, it’s a job many of us try to avoid! Now there is a solution to help make the fight against limescale easier. 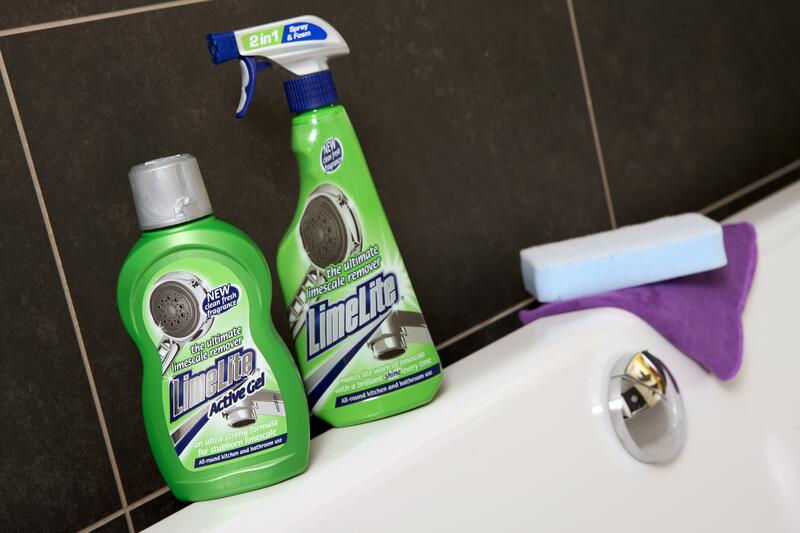 LimeLite can not only help you tackle limescale, but also soap scum and watermarks with two specially designed cleaners; LimeLite Limescale Remover Spray and LimeLite Active Gel. LimeLite Limescale Remover Spray is the perfect tool for cleaning away grime quickly and efficiently. The spray is specially formulated to destroy stubborn limescale deposits; with a powerful formula that starts working on contact to remove bathroom and kitchen grime. Simply spray on to the stain, wipe away with a damp cloth and stand back to admire the gleaming results. LimeLite Active Gel is ideal for a more targeted application and this ultra-strong gel is even tougher on stubborn areas of heavy limescale build up. Whether you’re a fan of the spray or gel, you can be sure LimeLite will leave you with sparkling clean results every time. LimeLite is available from all major supermarkets. LimeLite Limescale Remover Spray RSP £2.55. LimeLite Active Gel RSP £2.55. We are giving you the chance to win a year’s supply of Limelite! All you need to do is go to our Facebook fan page and ‘Like’ and ‘Share’ one of our Limelite status’!